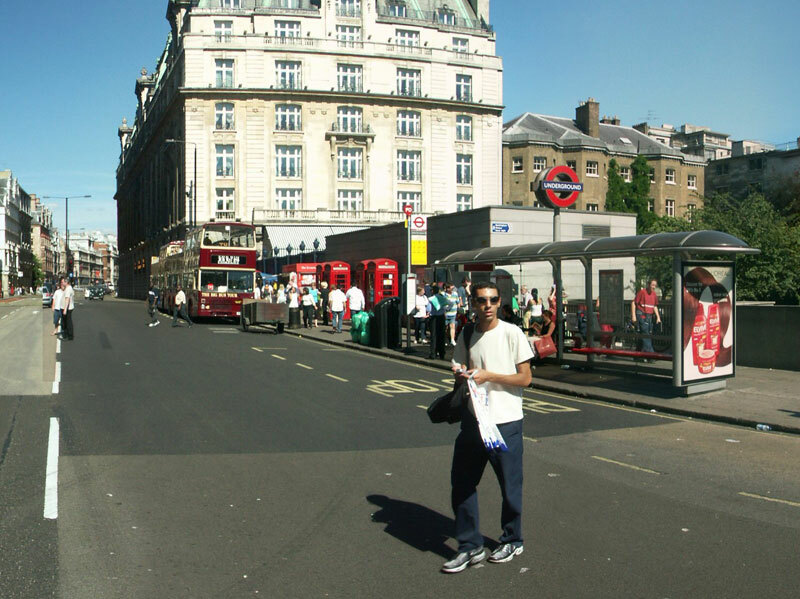 The locations of these three places are intimately connected, because we are given information about routes from Grimmauld Place to the other two. Any suggested location for any one of them, therefore, bears on the positions of the other two. Click here to open a map of the London Underground in a separate window. The symbol O denotes a grid reference on this map. We know Grimmauld Place is in a shabby residential area twenty minutes' walk from King's Cross stationO5C (they walk to the station on foot in OotP, and that's how long it takes). Normal human walking speed is somewhere between 2.7 and 3.5 mph, so that places it around a mile from Kings Cross: maybe a bit less if they're up a complex side-street and have to weave about. We know that Grimmauld Place doesn't exist in some sort of pocket in wizard-space, because the other houses are apparently inhabited by Muggles: it must be in a mundane, physical bit of actual London, and we know it's in a scruffy residential square around a mile from King's Cross. 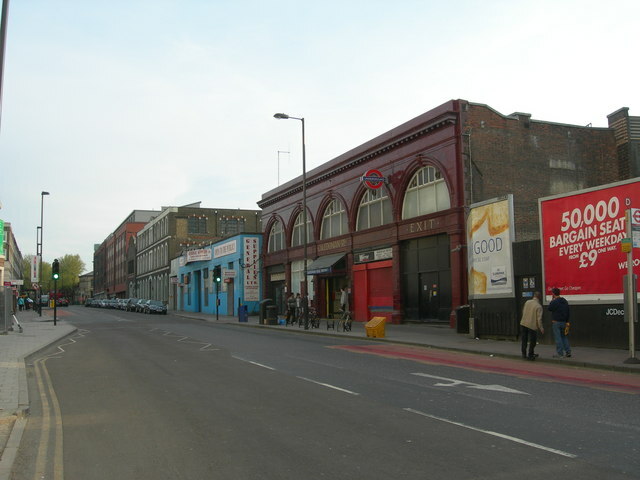 If you draw a circle a mile out from Kings Cross, the only areas it crosses which are residential and not astonishingly upmarket and expensive are either Camden or some of the poorer areas which make up the London Borough of Islington, especially Islington proper, Barnsbury, Clerkenwell/Finsbury or the southern fringes of Holloway. To place it anywhere else would require some very special pleading: other areas which are at a feasible distance, such as Bloomsbury, Canonbury and The Barbican, are probably just too fancy. For present purposes I'm going to use the term Islington/­Barnsbury to refer to Islington proper, Barnsbury and the edge of Holloway, and treat the Clerkenwell and Finsbury area as a separate entity: it may be in the Borough of Islington but it's on the far side of Pentonville Road relative to Islington proper, and has a very distinct village character. Islington/­Barnsbury, Clerkenwell/Finsbury and Camden are all feasible locations for an old pure-blood family to settle. Islington as an identifiable, named area dates back to the Anglo-Saxon period, although it didn't grow into a proper village until after the dissolution of the monasteries. It was an area famous for dairy-farming until London overtook it: according to the Borough's own website "As London grew, brick terraces began to take over the agricultural land. Local farmers turned to manufacturing bricks and developing property. With the advent of the railways came industrial development and corresponding social decline. Eventually many big houses and once elegant squares fell into disrepair. For much of the last century, Islington was a poor, down-at-heel area.//Post-war rebuilding and later gentrification improved both housing standards and the appearance of local streets. In recent years, although some significant social problems remain, Islington has become a desirable residential area." - so it's entirely possible that there could still be a once-grand but now scruffy, run-down square in Islington in the mid 1990s. Barnsbury is a rather more upmarket Victorian suburb added onto Islington, but not as grand as Canonbury or Highbury. becoming fashionable again in the 1990s. There could well have still been a few run-down pockets there in 1995. 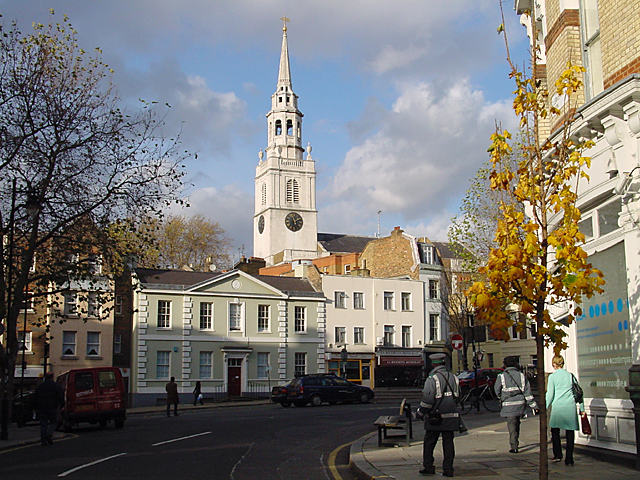 Camden has only existed as an identifiable village since the 1790s. Before that there was nothing there but a few farms and two coaching inns: but one of the inns, the "Mother Red Cap", was named after a supposed seventeenth century witch and serial husband-murderer. You could easily make a case for Mother Red Cap being a Black. We know that somewhere near Grimmauld Place there is a "miserable little underground station" with automatic ticket machines, although it's large enough to have a resident attendant, and that five or more stops (Arthur says "Four more stops, Harry ...") on the underground take you to a station which disgorges a flood of briefcase-carrying commuters onto a broad street full of "imposing-looking" buildings near where the Ministry of Magic is; and that an indefinite number of stops take you to a station which opens onto another broad street lined with shops, near St Mungo's Hospital, which doesn't seem to be the same station as the one for the Ministry. 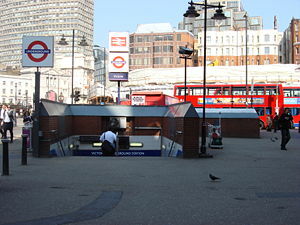 Both destination locations are described as being in the "very heart" of London, both destination stations have escalators which the travellers use, and in neither case do the travellers appear to change trains en route. The run-down streets were almost deserted, but when they arrived at the miserable little underground station they found it already full of early-morning commuters. As ever when he found himself in close proximity to Muggles going about their daily business, Mr Weasley was hard put to contain his enthusiasm. 'They're out of order,' said Harry, pointing at the sign. 'Yes, but even so ...' said Mr Weasley, beaming at them fondly. They bought their tickets instead from a sleepy-looking guard (Harry handled the transaction, as Mr Weasley was not very good with Muggle money) and five minutes later they were boarding an underground train that rattled them off towards the centre of London. Mr Weasley kept anxiously checking and re-checking the Underground Map above the windows. [cut] they got out at the next stop, a station in the very heart of London, [cut]. They all followed [Tonks] up the escalator, [cut] he asked Mad-Eye where St Mungo's was hidden. He seized Harry's shoulder to prevent them being separated by a gaggle of shoppers plainly intent on nothing but making it into a nearby shop full of electrical gadgets. 'Here we go,' said Moody a moment later. Although the station they get off at for the Ministry is among grand buildings, the Ministry itself (its entrance, anyway) is down a side-street and into a very scruffy area. The visitors' entrance is via an old-fashioned red telephone box in an area of shabby offices. The workers' entrance is via a pair of tatty underground public lavatories: we do not know how the telephone box and the lavatories are placed in relation to each other. Near the lavatories - and therefore presumably near the Ministry - is a longish alleyway which the workers use as an Apparition point, and in which there is a fire-door leading into an "empty" (presumably closed-down) theatre. 'Where are we?' said Mr Weasley blankly, and for one heart-stopping moment Harry thought they had got off at the wrong station despite Mr Weasley's continual references to the map; but a second later he said, 'Ah yes ... this way, Harry,' and led him down a side road. The further they walked, the smaller and less imposing the buildings became, until finally they reached a street that contained several rather shabby-looking offices, a pub and an overflowing skip. Harry had expected a rather more impressive location for the Ministry of Magic. They stepped out of the alleyway together. Fifty yards along the crowded pavement, there were spiked black railings flanking two flights of steps, one labelled Gentlemen, the other, Ladies. We also know that when Arthur and Harry headed back from the Ministry after the hearing in OotP, Arthur was on his way to Bethnal GreenO7C, and said that he would drop Harry off at Grimmauld Place en route. If Grimmauld Place is in Islington or Barnsbury or the edge of Holloway, the nearest underground stop must be either the AngelO6C on the Northern Line (a.k.a. "The Angel Islington" - it's the name of a pub); Highbury & IslingtonO6B on the Victoria Line; or Caledonian RoadO6B, or at a pinch Holloway RoadO6B which is a bit further out, both on the Piccadilly Line. We can rule out the Angel immediately, unless Arthur and Harry change trains en route - and there's no suggestion that they do. Unless you change trains there are only two ways you can go from the Angel - north-west, away from central London, or south-east across the City proper. Five stops from the Angel, heading south-east towards the City, takes you right through the City and out of it again, over the Thames into south London to a station called BoroughO6E. 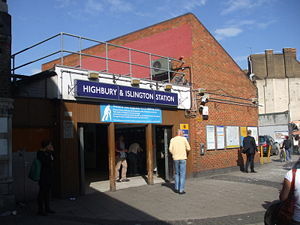 Highbury & Islington station is suitably smallish, and is an especially shabby-looking little place. However, five stops from Highbury & Islington on the Victoria Line heading towards central London takes you to Green ParkO4D, towards the west end of Piccadilly. Although this is in the heart of London and has some fairly grand buildings it's an area of shops, hotels and flats with not many offices - not the sort of place large numbers of people would commute to with briefcases - plus the station is right by the eponymous park, which you'd think Harry would notice. The next stop on is VictoriaO4D, which is just about feasible. It's pushing it a bit to call Victoria the heart of London, as it's on the edge of the central area, but it's a very busy station with lots of grand buildings around it, including a lot of office blocks. Neither Green Park nor Victoria is at all a likely place to find a theatre: albeit that all areas of London are prone to hidden surprises. So, if Grimmauld Place is in Islington/­Barnsbury it could be near Highbury & Islington station, if we accept Victoria as "the very heart of London" and as possibly having an old theatre up one of its side-streets, or failing that it must be close to either Caledonian Road or Holloway Road. We know this because it has to be around a mile from King's Cross - so it isn't out the far side of Holloway Road, which is already well over a mile from King's Cross - and it has to be so placed that walking to Caledonian Road or Holloway Road is easier than walking to King's Cross, otherwise they would have picked up the train there. Either way, if Grimmauld Place is in the Islington/­Barnsbury area it's not in Islington proper, because the nearest stops to walk to from Islington proper would be either the Angel or King's Cross itself, and we know the "miserable little underground station" wasn't either of those. It must be in Barnsbury, or Lower Holloway or (if it's near Caledonian or Holloway Roads) Holloway proper. Caledonian Road and Holloway Road are both what I would call medium-sized and not very impressive stations, and they are in a line. 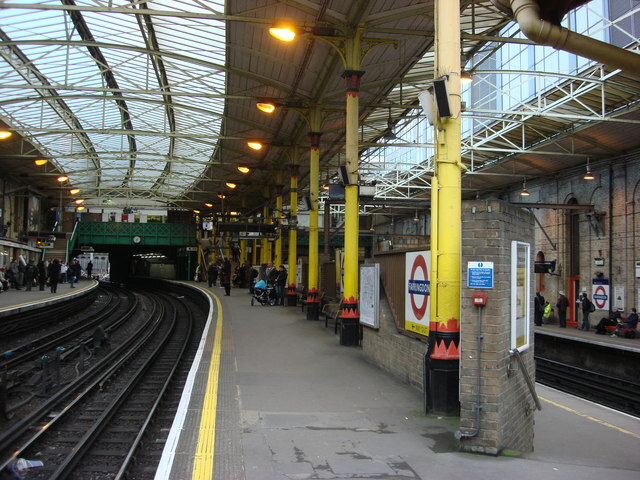 The platform at Caledonian Road is accessed by means of a lift which you might expect Harry - or Arthur - to comment on; Holloway Road is considerably more than twenty minutes' walk from Kings Cross, but they might well have been heading away from Kings Cross when they walked from Grimmauld Place to the station. Holloway Road is slightly the bigger of the two, but has the advantage of being in Lower Holloway, which is shabbier than Islington; whereas Caledonian Road is moving into Barnsbury which is more up-market, and perhaps too much so for Grimmauld Place. On the other hand Barnsbury is the sort of area the Blacks might have found desirable when they still had money. 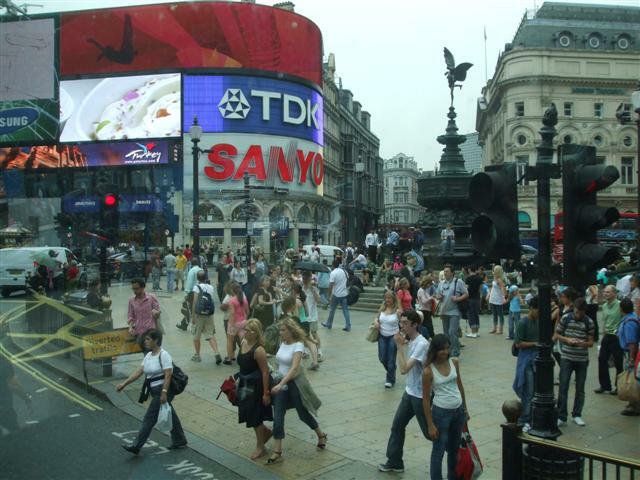 Five stops from Caledonian Road or six from Holloway Road on the Piccadilly Line would take you to Leicester SquareO5D, and the next stop is Piccadilly CircusO5D. Leicester Square is quite a suitable destination - it has an especially deep escalator, it disgorges onto quite a grand street, and although it's not exactly the heart of office-commuter-land, there are quite a lot of offices around there, and a lot of suitable back streets and theatres (some of them closed) as well. The only thing against it is that the said grand street is the northern part of Charing Cross Road and you'd think Harry might recognise it - although it would be a couple of hundred yards along from the smaller, more intimate Trafalgar Square end of the street where the Leaky Cauldron probably is. (commonly referred to as "Eros" but in fact intended as Anteros, god of unselfish love). It's so exceedingly recognisable that you'd expect Harry to think "Look, Piccadilly Circus" rather than "Look, big buildings." 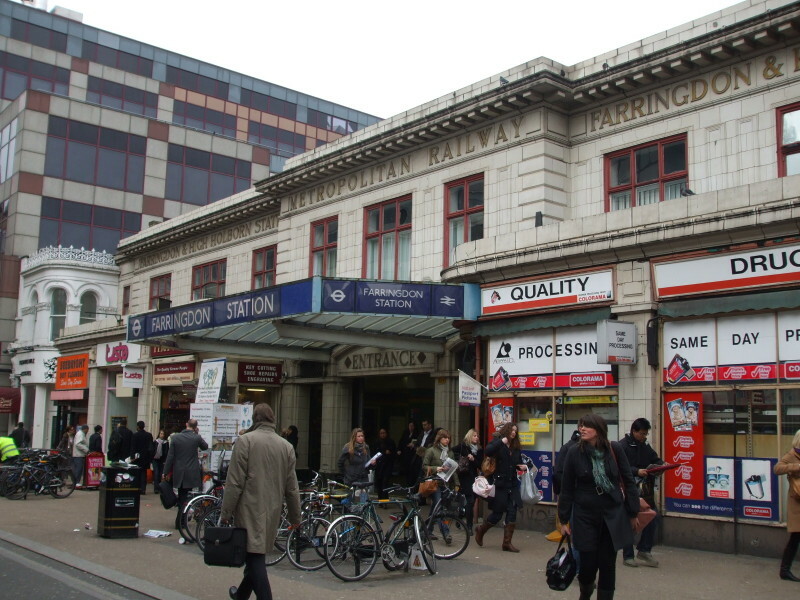 If they are travelling on the Piccadilly Line then the station where they alighted for St Mungo's and saw a broad street with shops could be HolbornO5C, Piccadilly CircusO5D, KnightsbridgeO4D or South KensingtonO4D. 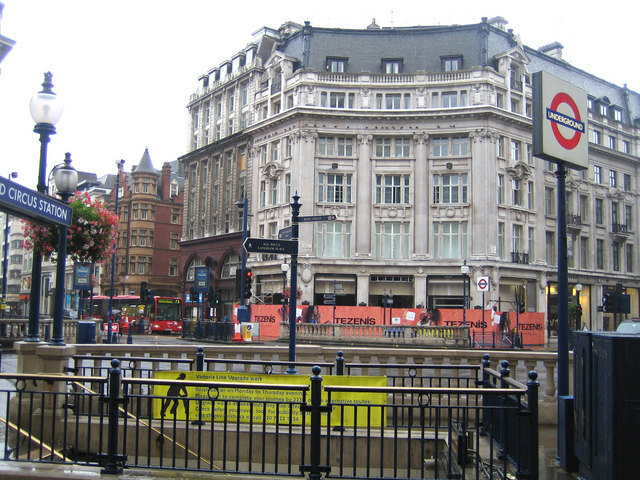 Piccadilly Circus can probably be ruled out, again, because it's too recognisable. Knightsbridge is a posh shopping district but possibly too posh to have a run-down, closed department store anywhere near a main road, and it tends to be full of shops selling expensive clothes, not electronics. It would also be pushing it to call it "in the very heart of London". Kensington is a little less glossy but even further out. Holborn on the other hand would give them access to the teardrop-shaped area bound by the roads called High Holborn, St Giles High Street and New Oxford Street - a slightly shabbier, more raffish area just east of Oxford Street, and just the sort of place where one might well find a smallish, elderly department store which had been left unoccupied. Note that the description indicates that St Mungo's is only a short walk from the station they alight from, so it probably would not be as far away as the Tottenham Court Road end of this area as that would be nearly seven hundred yards from Holborn station. If they are coming from Highbury & Islington station on the Victoria Line, then the station they alighted at for St Mungo's must have been either Warren StreetO5C, Oxford CircusO4C or Green ParkO4D. Of these, Warren Street has the charm of being the nearest stop for University College Hospital, and you could imagine St Mungo's as the wizarding branch of that; but Oxford Circus best fits the "broad store-line street" description. That would put Purge & Dowse Ltd actually on Oxford Street, or just off it. If the Ministry is at either Leicester Square or Victoria and Grimmauld Place in Islington/­Barnsbury, however, Arthur couldn't take Harry back to Grimmauld Place and then proceed to Bethnal GreenO7C by train in any easy fashion: at the least he would have to take at least three different trains. Perhaps he was planning to Apparate. 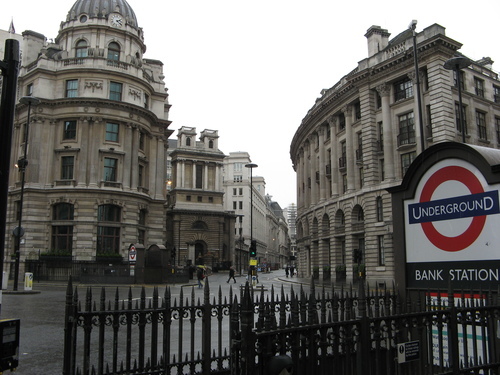 If Grimmauld Place is in Clerkenwell or Finsbury, the nearest underground station would have to be either the Angel on the Northern Line; the BarbicanO6C or FarringdonO6C on the Circle, Hammersmith & City and Metropolitan Lines; or Chancery LaneO5C on the Central Line. We've already ruled out the Angel, and we can rule out Farringdon as well because it's medium-sized and quite ornate: there's no way it could qualify as a miserable little station. could just about qualify if you stretched a point, as it's medium-sized and a bit bleak and bare-looking, even though it's the nearest station for the spectacular modern arts-and-upmarket-housing complex called the Barbican Centre. Five, six or seven stops from the Barbican clockwise on the Circle Line would take you to MonumentO6D, Cannon StreetO6D or Mansion HouseO5D, all in the commercial district of the City of London: that is, in the "Square Mile" of the original, Mediaeval London, somewhat to the east of the geographical centre of modern London. 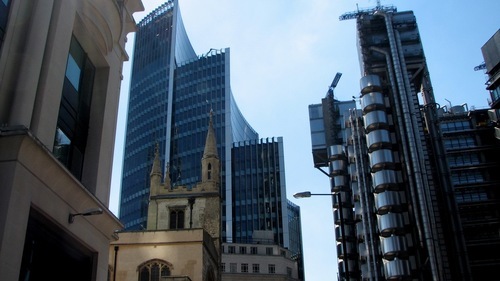 The City, a weird fusion of buildings of different periods from the Mediaeval onwards, and even incorporating some Roman ruins, is nevertheless dominated by high-art Modernist sky-scrapers, and is one of the major financial districts in the world. It's an ideal location for the Ministry because it fits the idea of broad streets lined with impressive buildings very well, and is the most likely place to see hordes of briefcase-carrying commuters. It is not, however, a very likely location for a theatre (except for those at the Barbican Centre itself, which is very much not disused), and if the nearest station is the Barbican, then we have a problem with the location of St Mungo's. 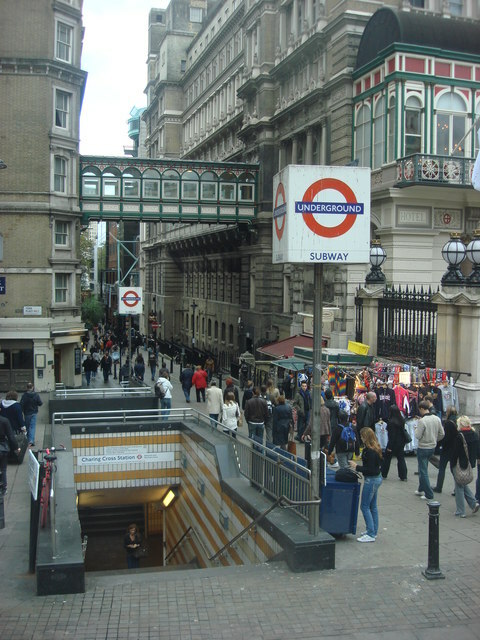 The only major shopping-areas in central London you could get to from the Barbican without changing are in the Sloane SquareO4D - South KensingtonO4D - Gloucester RoadO3/4D - High Street KensingtonO3D sequence via the Circle Line, and apart from not really being in the heart of the city, the Circle Line platforms at all these stations are above ground: you wouldn't use an escalator to leave the station. 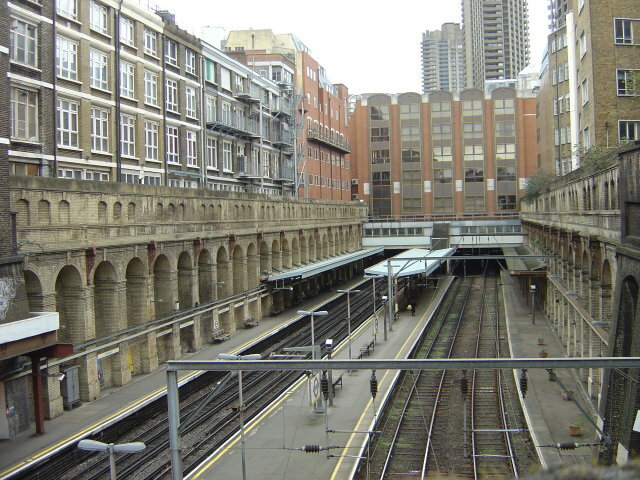 So if the nearest station to Grimmauld Place is the Barbican, we have to assume that Harry, Tonks and co. changed trains during the journey from Grimmauld Place to St Mungo's, in which case St Mungo's could be anywhere in the central shopping area - or that Grimmauld Place is between two stations, and they used different ones for St Mungo's and for the Ministry. Arthur would have to double back to go from the Ministry to the Barbican to Bethnal Green, and would have to change at Liverpool StreetO6C. Tottenham Court RoadO5C, Oxford CircusO4C, Bond StreetO4C or Marble Arch itself, all of which are strung out along Oxford Street. We can probably rule out Holborn in this case, because it's so near Chancery Lane you'd think they'd just walk. 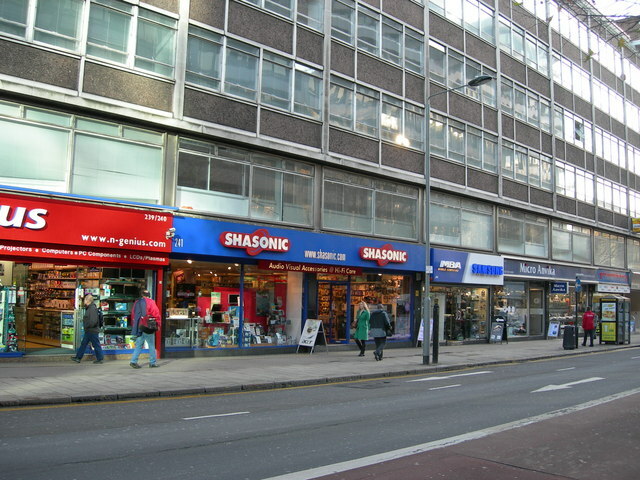 Like Holborn, Tottenham Court Road station gives access to the area bounded by High Holborn and New Oxford Street, and the southern end of Tottenham Court Road itself, nearest the station, is famous for its shops selling electrical goods. Chancery LaneO5C best fits Arthur's comment about dropping Harry off on his way to Bethnal GreenO7C, which is on the same line: he wouldn't have to change. 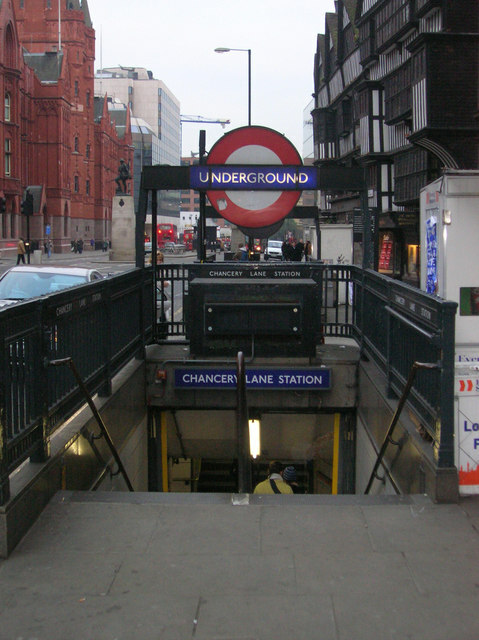 You could just about make a case for calling Chancery Lane station little, since it's single-line, although it's entered off a fairly grand street and has multiple entrances. 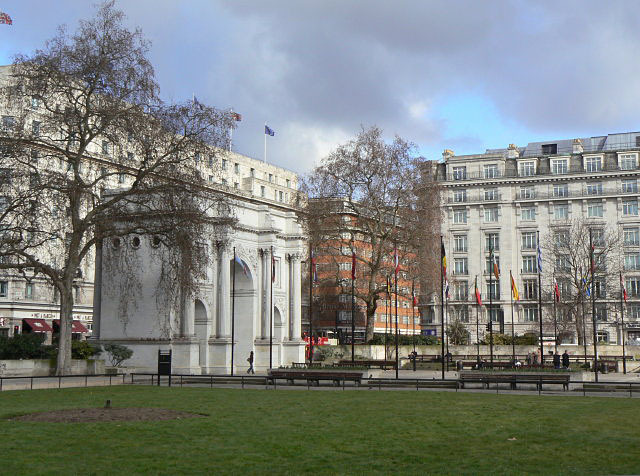 However, it requires the Ministry to be near Marble Arch, and though it's an area with both grand buildings and shabby back streets, it's not really office-land or theatre-land. If Grimmauld Place is in Camden and about a mile from Kings Cross, then the nearest station is Camden TownO5B on the Northern Line. 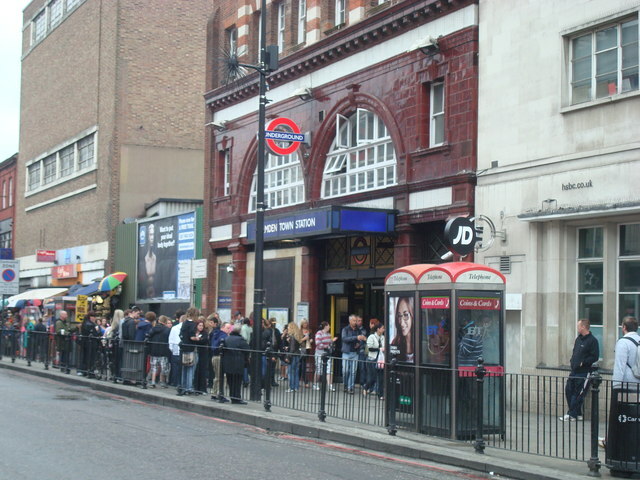 Five stops from Camden Town via Euston SquareO5C on the Northern Line will take you to Leicester SquareO5D, and the next stop is Charing CrossO5D. Charing Cross station is a possible location for the stop near the Ministry, but it would put the Ministry extremely close to Diagon Alley - quite possibly less than a hundred yards away - which you'd think would have been mentioned. However, if they came out of one of the Northern Line exits which is in a side-street, Harry might not have noticed how close they were to Trafalgar Square. That would put the Ministry somewhere in the complex maze of back-streets on either the north or south side of the Strand. Alternatively, five or six stops from Camden TownO5B via Kings CrossO5C on the Northern Line will place you in the City of London. The fifth stop from Camden Town is MoorgateO6C and the sixth, BankO6D: of these, Moorgate has a faintly scruffy aspect, whereas Bank is very wide and imposing. 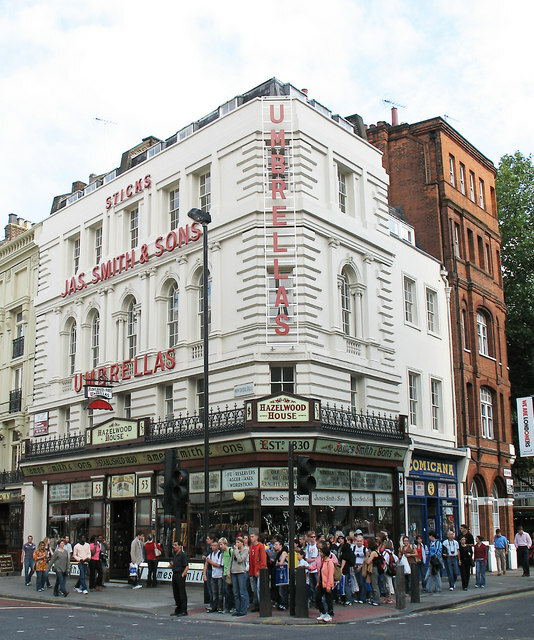 Both are highly suitable destinations as regards the very grand buildings, the fact that Harry doesn't immediately recognise an obvious landmark and the number of briefcase-carrying commuters, but not at all suitable as regards the nearby presence of a run-down theatre. 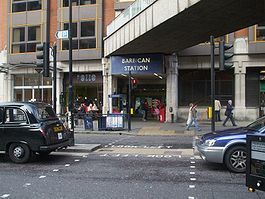 St Mungo's, again, would be near Tottenham Court Road stationO5C - five stops from Camden TownO5B via Euston SquareO5C. 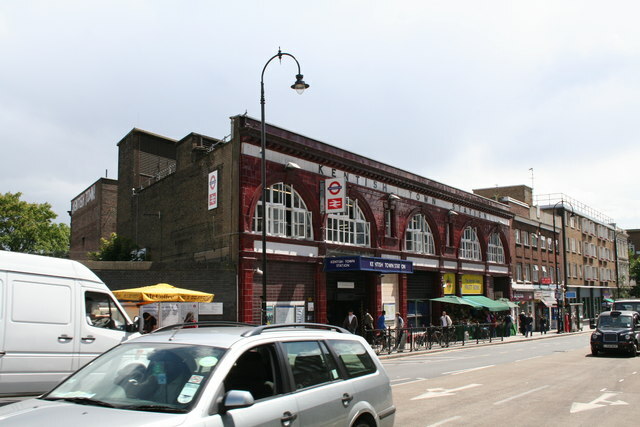 As with Caledonian Road, Arthur would have to double back and get three different trains to get from Camden Town to Bethnal GreenO7C, so one would have to assume he was planning to drop Harry off and then Apparate. 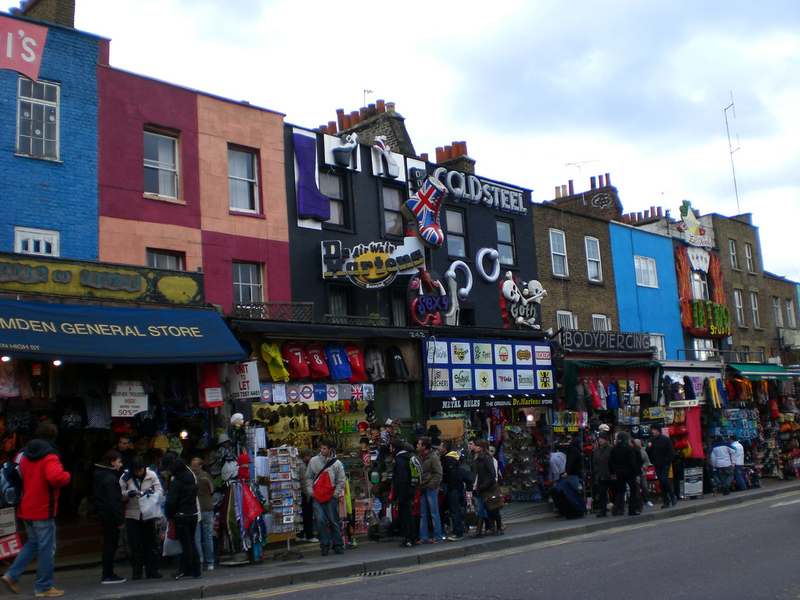 Apart from the theatre issue, the only thing against Grimmauld Place being at Camden is that Camden is hippy-central and very noticeable. It has a canal running though it, with locks, and a famously shabby, hippy market which covers a substantial area of the town, and streets of shops painted in gaudy colours with sculptures and figureheads stuck on them - it looks like a cross between Amsterdam and one of the more raffish bits of California. And the station, although quite small, is in the middle of all that and it's a major intersection - one of the busiest stations in London. They actually have to close it to boarding traffic at certain times at the weekend so people getting off the trains, or changing trains, can move against the crush. All of which is hard to square with Harry's description of a miserable little station. So, in order for Grimmauld Place to be in Camden, you have to come up with a reason why Harry could walk through Camden Town and not notice it. It may be that there's some way of approaching Camden Town station which bypasses all the gaudy bits, although it still hardly fits the description of a miserable little station. Another possibility is that Arthur walked them all the way from Camden to Kentish TownO5B - the next station out on the branch of the Northern Line that runs through Bank - in order to avoid the crush at Camden Town. But it's over half a mile further out from King's Cross than Camden Town is, so Grimmauld Place can't actually be in Kentish Town - you couldn't walk to King's Cross from there in twenty minutes - so they would have to have had a fairly long walk from Grimmauld Place to Kentish Town station. This detour via Kentish Town only works if the Ministry is in the City. 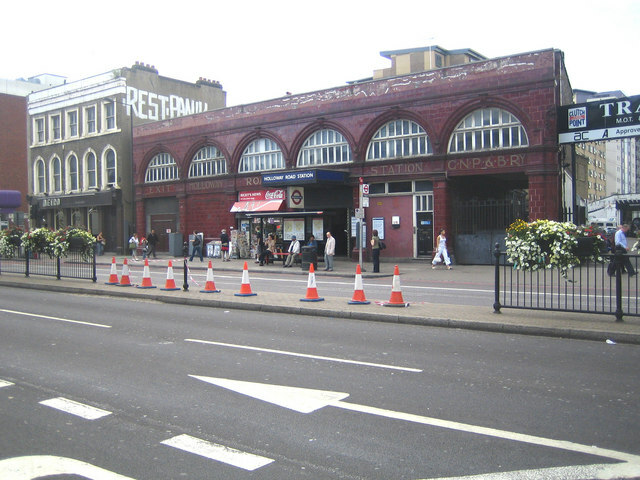 To get from Kentish Town station to Leicester Square they would have to change at Camden Town anyway, which would defeat the object of the exercise. So, we have six options, all of which have a few problems but all of which can be made to work at a pinch. Grimmauld Place is in Barnsbury, Holloway or Lower Holloway, and the nearest station is either Caledonian Road or Holloway Road. The Ministry is near Leicester Square, and St Mungo's somewhere in the High Holborn/New Oxford Street area. There are no massive problems with this version, although Leicester Square isn't really prime briefcase-country, and Arthur would either have to take three trains or Apparate to get from Grimmauld Place to Bethnal Green. It has the great advantage that Leicester Square is an ideal area to find a closed-down theatre and a shabby public lavatory. Grimmauld Place is in Barnsbury or Lower Holloway, and the nearest station is Highbury & Islington. The Ministry is near Victoria, and St Mungo's either on or just off the middle (Oxford Circus area) of Oxford Street, or somewhere near Warren Street. There are no massive problems with this version, although it's pushing it a bit to call Victoria "the very heart of London", or to have a disused theatre there (or any theatre at all), or to have a disused department store actually on Oxford Street. Again, Arthur would either have to take three trains or Apparate to get from Grimmauld Place to Bethnal Green. Grimmauld Place is in Clerkenwell or Finsbury, and the nearest station is the Barbican. 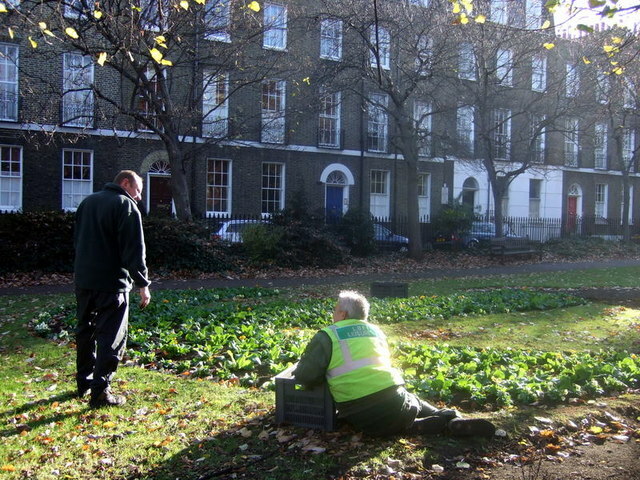 The Ministry is in the City, in the Monument/Cannon Street/Mansion House area. Arthur would either have to take two trains or Apparate to get from Grimmauld Place to Bethnal Green. The major problem with this is that there is no direct way to get from the Barbican to any station which is in a major shopping district and where you would exit via an escalator: so they would have to change trains to get to St Mungo's, and it could be anywhere. And, of course, there's the theatre issue. Grimmauld Place is in Clerkenwell or Finsbury, and the nearest station is Chancery Lane. The Ministry is near Marble Arch, and St Mungo's either somewhere in the High Holborn/New Oxford Street area, Tottenham Court Road or off Oxford Street itself. The problems with this version are that Marble Arch is even less likely briefcase-country than Leicester Square, as well as much less likely to have a theatre in it, and it's stretching a point to call Chancery Lane station "miserable", since it's on a rather grand street. 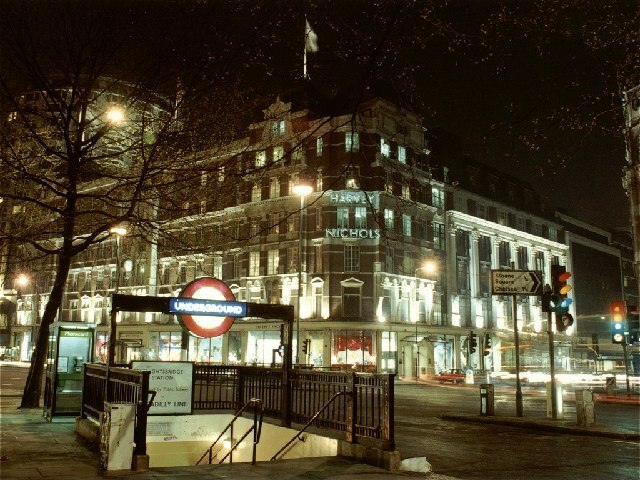 The major plus is that Arthur really could get a train from Marble Arch, drop Harry off at Chancery Lane for Grimmauld Place, and go straight on to Bethnal Green; plus Tottenham Court Road is a perfect place to find shoppers shopping for electronics. Grimmauld Place is in Camden, and they travel from Camden Town. 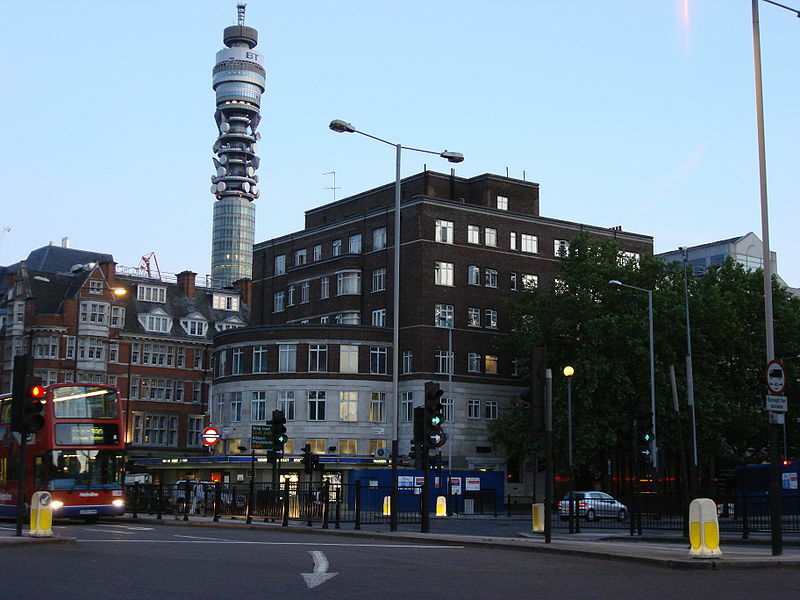 The Ministry is near Leicester Square or the Strand/Charing Cross station, and St Mungo's somewhere in the High Holborn/New Oxford Street area, or Tottenham Court Road. The big problem with this option is that it's very difficult to see how Camden Town could fit the description of a "miserable little station" when it's so furiously busy: and again, Arthur would either have to take three trains or Apparate to get from Grimmauld Place to Bethnal Green. Options 1) and 6) best fit the fact that the Ministry is near a disused theatre, while options 3) and 5) best fit the description of their disembarkation among hordes of briefcase-carrying commuters, since they place the Ministry in the City, at the heart of grand-buildings-filled-with-commuters-with-briefcases territory; but option 3) fits the journey to St Mungo's least well. Option 4) fits the detail about dropping Harry off on the way to Bethnal Green best. Options 1) and 2) probably have the least specific problems, although 1) is not a perfect fit for the description of the station with commuters. We can probably knock off option 3), then, since it has a problem with the location of St Mungo's, and if we want to place the Ministry in the City we can do it another way. We can also probably leave off option 6), because we can get the Ministry to Leicester Square another way and it's difficult to see how Camden Town station could fit the bill. So that leaves a choice between options 1), 2), 4) and 5). Grimmauld Place is in Barnsbury/Holloway, the Ministry is near Leicester Square and St Mungo's is in the New Oxford Street/Holborn area. Grimmauld Place is in Barnsbury/Holloway, the Ministry is near Victoria and St Mungo's is on or near the middle of Oxford Street or near Warren Street. Grimmauld Place is in Clerkenwell/Finsbury, the Ministry is near Marble Arch and St Mungo's could be anywhere along the whole length of Oxford Street, the southern end of Tottenham Court Road or the New Oxford Street/Holborn area. Grimmauld Place is in Camden, the Ministry is in the City somewhere around Moorgate or Bank and St Mungo's is either on or near Tottenham Court Road or in the New Oxford Street/Holborn area. Of these, the fourth option is probably the most attractive, since it enables both the Ministry and St Mungo's to be in very suitable areas. It also leaves us with the rather splendid idea that Jinny of Kentish Town, a.k.a. Mother Red Cap, the homicidal witch of Camden, was an ancestor of Bellatrix Black. However, it requires there to be a closed-down theatre in or very close to the City, which is unlikely. It also requires Harry not to notice (or at least not to comment on) the perpetual carnival which is Camden town-centre, and it makes Arthur's dropping Harry off en route to Bethnal Green a bit convoluted (although he might have lied to Harry about how easy it was, because he really wanted to see him home). Although it's less exciting, the first option is probably the most likely - on the grounds that briefcase-bearing commuters at Leciester Square are less unlikely than a theatre at Bank. Because of the requirement that the area around the Ministry should include both offices, scruffy graffitied back streets and a disused theatre, the most likely solution to the location of these three places is as follows. Grimmauld Place is in the Barnsbury/Holloway area just north of Islington proper, and the "miserable little station" from which Arthur and Harry travelled to the Ministry was Holloway Road. Grimmauld Place itself is on the central London side of Holloway Road and Arthur and Harry walked away from King's Cross to get to Holloway Road station. From there they caught the Piccadilly Line Underground train and travelled six stops to the Ministry. 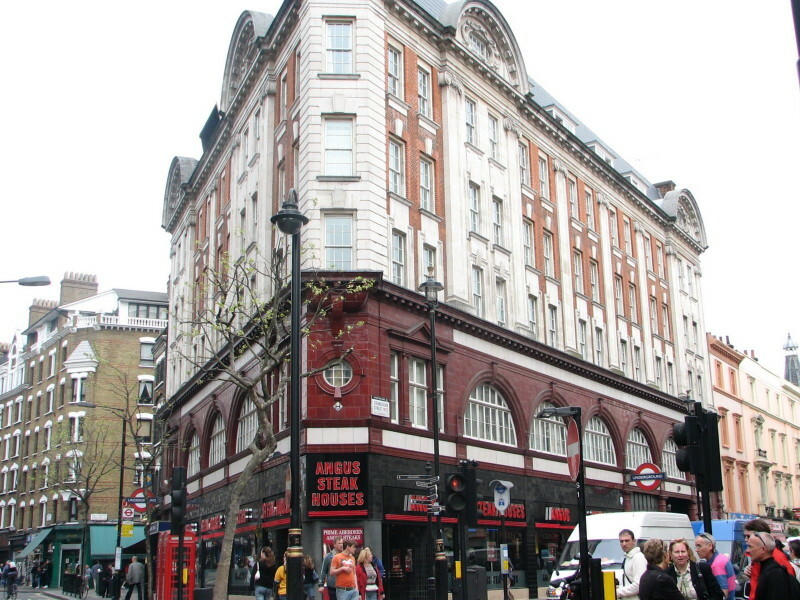 The Ministry is near Leicester Square Underground station - and hence only a few hundred yards from Diagon Alley. I would guess it is on the north side of Leicester Square itself because I know there are plenty of dingy back streets around there. 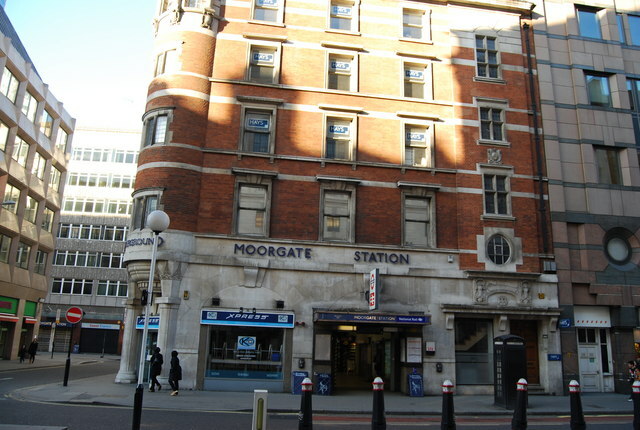 The station where they alighted for St Mungo's would be Holborn, two stops before the Ministry. St Mungo's itself is in the slightly scruffy area bounded by High Holborn and New Oxford Street.